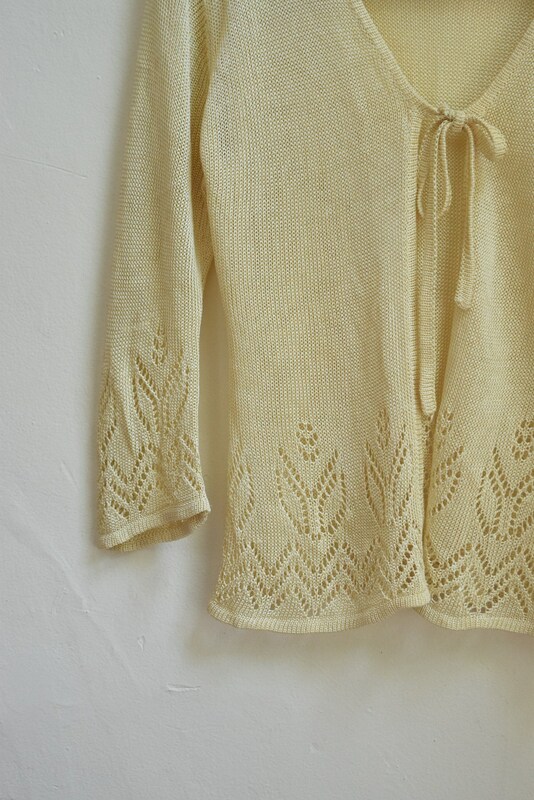 Custard Eyelet Knit Drawstring Blouse. 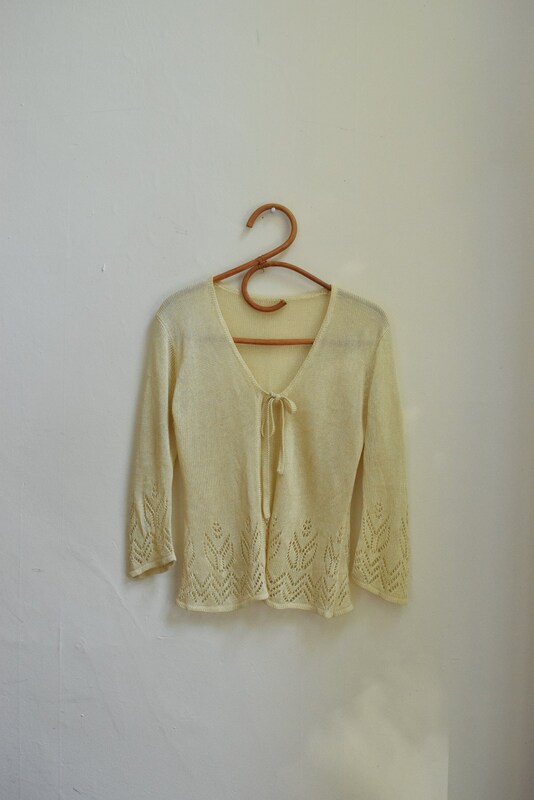 Pastel yellow knit blouse with drawstring enclosure in front. Eyelet lace detail around trim of shirt and sleeve cuffs.